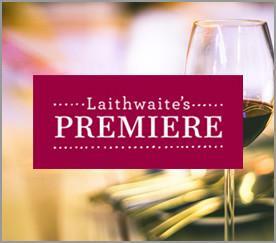 Confrères are members of Laithwaite's inner circle. 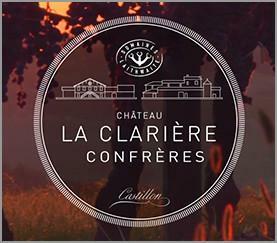 When you reserve a case of Château La Clarière you become part of our winemaking community ... and share the secrets and the vineyards that are the beating heart of Laithwaite's. 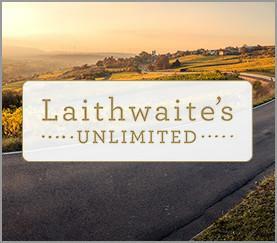 The normal list price of Château La Clarière Laithwaite 2016 is £24 a bottle, £144 a six-bottle case. But if you put down a first payment of £45, and so become a Confrère, you will only pay another £45 when the wine is delivered to you in June. That's just £90, saving £54 on the normal list price. A massive saving ... not just once, but every year. It is entirely up to you whether you take cases of subsequent vintages, but it seems like virtually every Confrère does. Unsurprisingly. And if you prefer, you can opt for a 12-bottle case, with first payment £90 and another payment of £90 when the wine is delivered in June, saving yourself £108 on the normal list price. or call us on 03330 148 200. Since 1985 the Confrères have supported the development of what I insist has become their vineyard - a remarkable one - by simply putting their name down for a 12-bottle or six-bottle wooden case of the next vintage to be bottled. It is so important to us; allows us to keep on investing and improving. Currently this vintage is, along with the 2015, what I believe to be the best wine we have ever made: the 2016. (And that's saying something as our wine has already won 29 Golds and even resulted in me being awarded Chevalier de Mérite Agricole). This wine is rich, structured and long. Even with a few more months barrel-ageing to go, it is already delicious. In fact, we toured the country over the last few months, giving tastings and actually included this wine when it was extremely young. And those who've tried it love it. Many Confrères also pay us a visit. I have said for years that I reckon wine merchants keep the best part of wine for themselves, and that's wrong. I want to share with my Confrères not just a superb wine at an unbelievable price, but to invite them to the wonderful place it comes from. Our house is a mile or so away from the château. I walk there through the lower vineyards. I cross the road and call in at the Chai - the immaculate winery - if there's some work going on. I walk on through the courtyard into the new barrel hall. Those immaculately lined-up rows of new barrels - the smell alone is worth the visit. At some point I will usually tackle the hill, up behind the château, climbing through the three terraces and the 'Bois Jolie' to the great top vineyard and its views along the Dordogne Valley to the tower of Saint-Émilion. It is glorious up there. Vineyards everywhere, churches, little farms and great châteaux. I thought it was paradise 51 years ago. I still do. An open invitation to visit your château - meet the winemakers, taste the latest vintages from the barrel ... if you're feeling energetic, you can help harvest if you wish! We'll send you a welcome pack in the next couple of weeks and look out for some special offers on tiny volume wines we've made exclusively for Confrères. We'll also arrange for your name to go on the Château's honour roll and of course you are welcome to visit anytime. 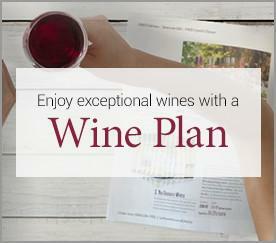 You pay a fixed portion of the total cost of the wine when the order is placed. All the delivery details are captured and a schedule for future payments is set up. Once the final amount has been paid the order will be automatically delivered to the address you have chosen. 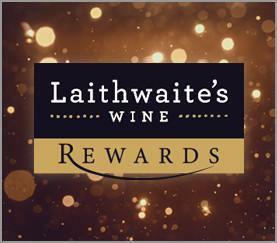 By reserving this case, you hereby authorise Laithwaite's Wine to charge the card provided for this order for the second instalment when the wine is ready for delivery. My favourite delivery of the year every year.